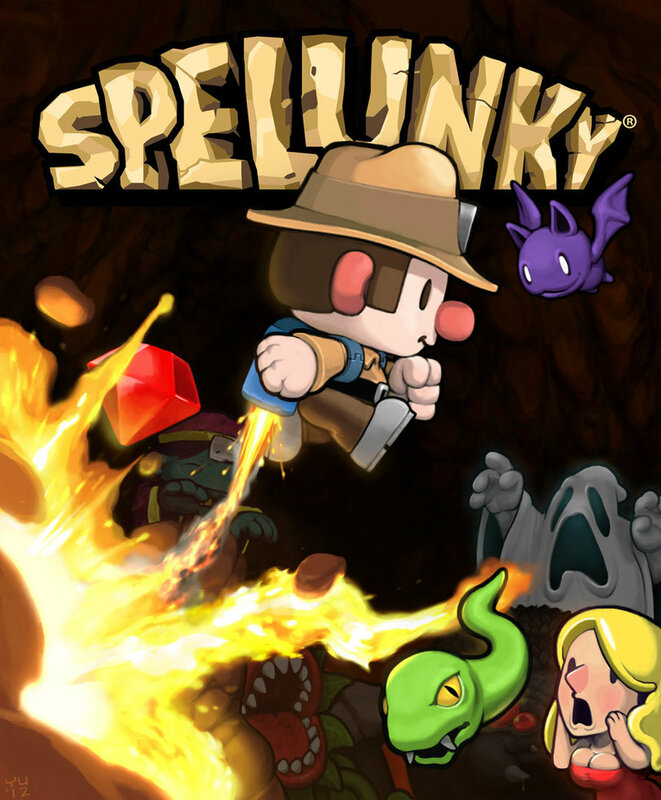 You may have seen Spelunky mentioned somewhere and asked yourself "What's Spelunky?" 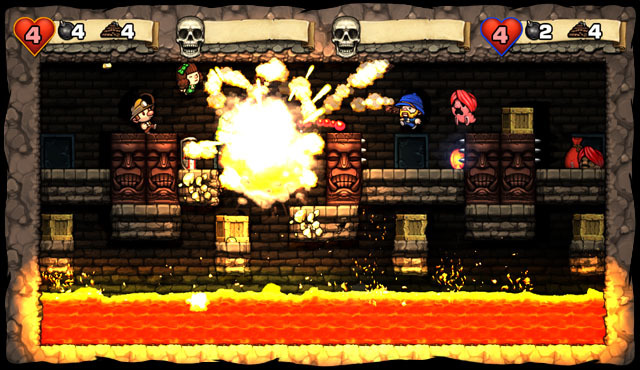 Spelunky is a platformer with lots of monsters, items, traps, and secrets. 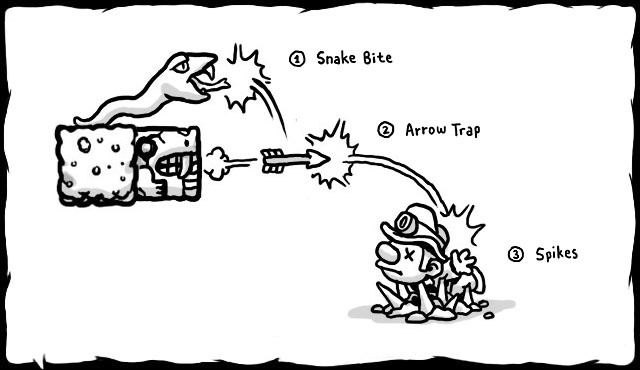 Dying in Spelunky can be quick and painful. 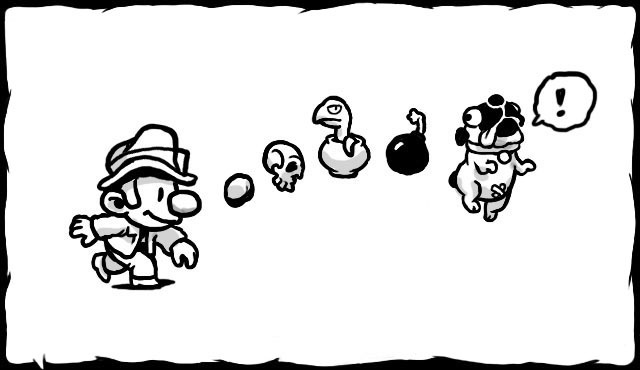 But each time you restart, you'll play a new, randomly-generated set of levels! It will feel fresh and exciting, and you'll have to think on your feet. You can pick up and use or toss practically everything you come across (to your own detriment, if you're not careful!). 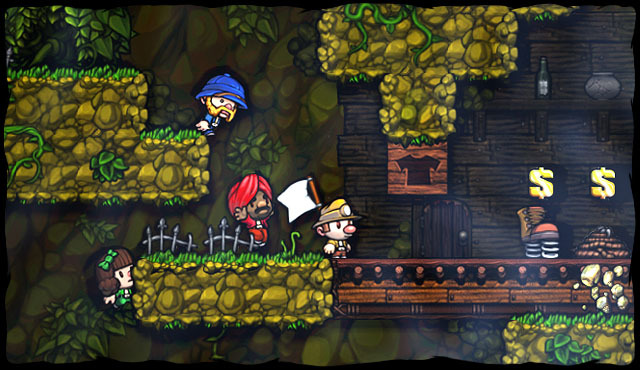 The original game was released on PC in 2008 and is available to play for free. 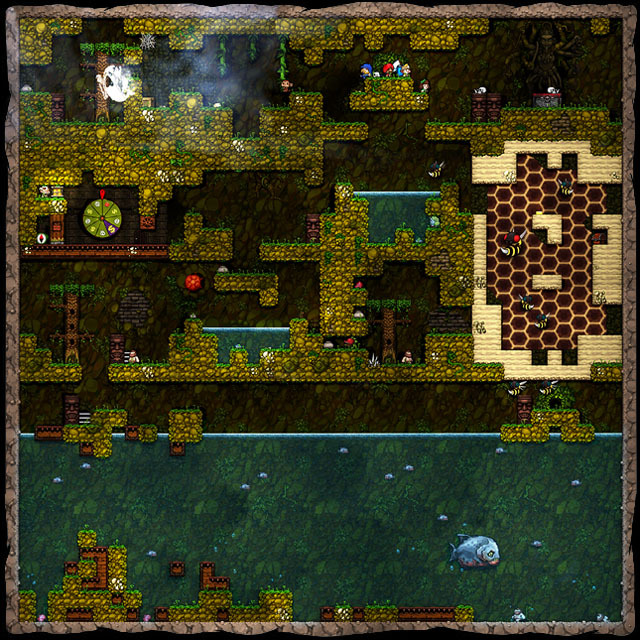 Since then, Andy Hull and I have been working on this new version for XBLA. It's much more than a port of the original game, and has new graphics, music, zones, monsters, items, traps, and secrets. The controls are much smoother, too, and designed specifically for the gamepad. And even though the game is randomized, players of the original enjoyed highscoring and speedrunning, so we're trying to limit the luck involved. You'll be able to compete on XBLA's leaderboards. 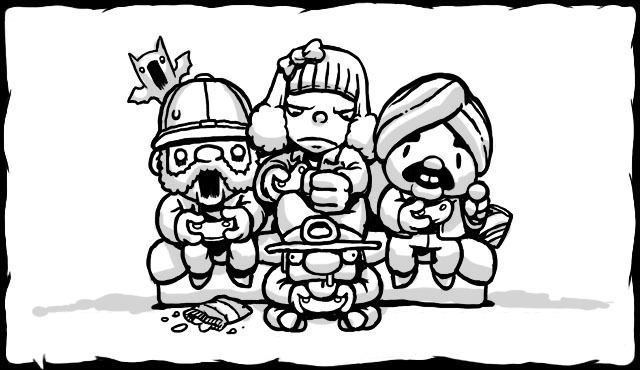 You'll also be able to play Spelunky with friends at home! There's co-op and deathmatch. With multiple players interacting, co-op becomes a much different game. It's easy to help or hurt each other, so socialization is important! 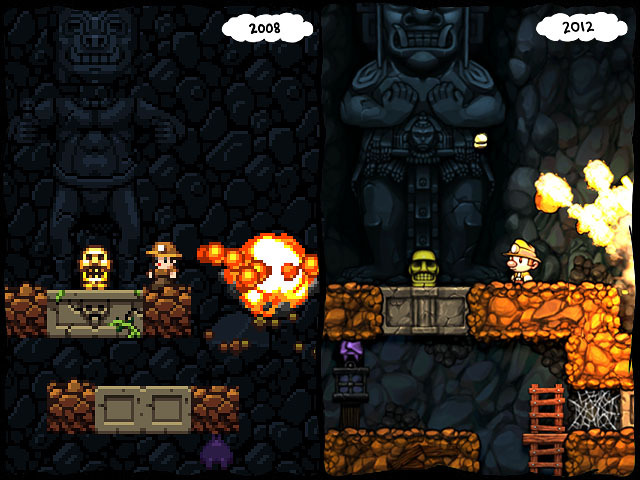 To promote Spelunky and grow its popularity (top games), use the embed code provided on your homepage, blog, forums and elsewhere you desire. Or try our widget. There it is. Bunch of Music. From other games. 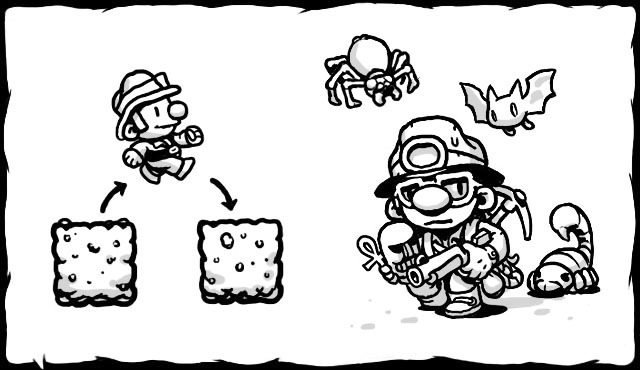 In Spelunky. Have fun lol. A friend of mine bought it and he said the Local play is very limited and underdeveloped, so dont buy it for local play with friends since there is no splitscreen at all, the camera just follow the first player and the other player easily drops out of screen. except for that it seems like an extremly fun singleplayer game. They have the game out at PSN store for VITA!